Living in Massachusetts, I cannot avoid the fact that I am a New England sports fan. Rabid, no. Interested, yes. That Patriots are 14-0, and looking destined for another Super Bowl appearance. I am not a sports writer, nor am I pretending to have any clue about their chances of really making it there, I am just repeating what I have heard on various media outlets around the country. The Kraft Group, owner of the Patriots and Gillette Stadium, has partnered with Constellation NewEnergy to offset the stadium's power usage with wind-energy renewable energy credits (RECs). The contract, which has been running during the course of the Patriots first 12 games, will continue for four years. Financial details of the energy credit purchases were not disclosed, but according to Carrie Cullen Hitt, vice president of product management for renewable power at Constellation, all home games will be covered, including playoffs. The first sentence of the second paragraph raise the alarm bells; where is the money they are investing in wind power RECs going? Are these legit RECs? Are they really funding renewable energy projects? Constellation New Energy has been chosen as a REC partner by the Center for Resource Solutions' Green-e program from California. Green-e is one of the leading GHG emissions certification organizations out there, so I suppose this bodes well for the legitimacy of the Kraft Group's investment. It would be even better to see a few hundred kilowatts of photovoltaics installed on the stadium (plenty of room with no shading issues! ), perhaps even extending to the sprawling mall being build around the stadium. It may make a small dent in the overall CO2 emissions that will come from all the people driving to events at the stadium and the new shopping center. 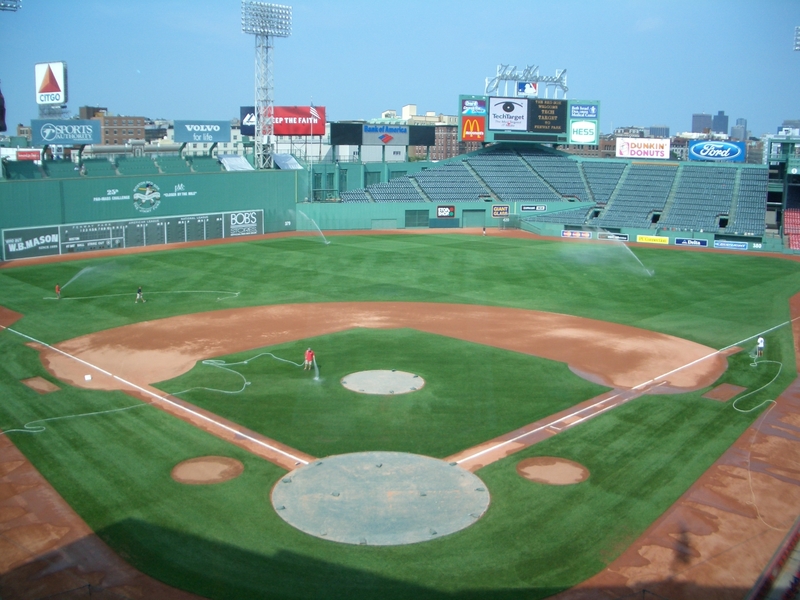 Sports owners are of the competitive sort, will the Red Sox (how green is Fenway Park? ), the Celtics (c'mon, their uniforms are green! ), and the Bruins (green with envy at the attention the other teams receive?) step us as well?